In February, we reported on a unique 3D printer that came out of the Buni Hub maker space, which is located in Tanzania, the coastal country in the eastern part of Africa. Members of the Tanzanian lab had joined together to create Africa’s first-ever 3D printer from e-waste, utilizing discarded electronic parts to help advance the technology of the impoverished region. 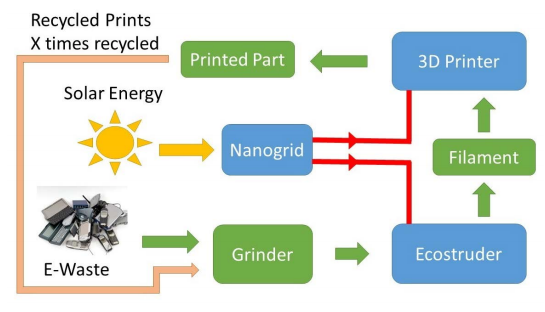 Now, that same progression is cultivating out in West Africa, as another lab from the hilly and palm-lined country of Togo has just announced an e-waste-based 3D printer of their own. Back in 2012, Togolese architect Sénamé Agboginou founded the WoeLab, an organization focused on locally sourcing and creating sustainable technology to help promote urban renewal within the nation of Togo. Resting right outside of Lomé University, the maker space serves as the first incubator and fabrication lab in the country, housing a number of startups, designers, and entrepreneurs within its walls. 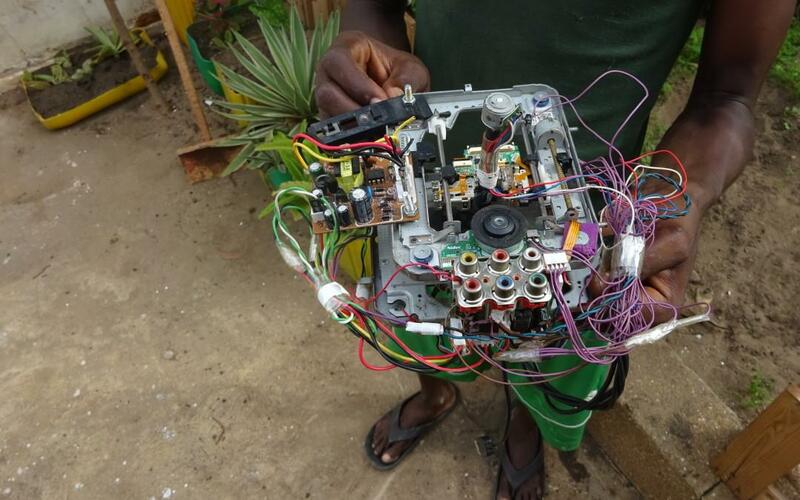 One of the brightest members of the WoeLab is 22-year-old Togo native Lalle Nadjagou, who is utilizing the resources of the space and e-waste from his country to create a miniature 3D printer. The community members were first inspired to undertake this project after buying and building a Prusa 3D printer together, which is when Nadjagou came up with the idea to create another 3D printer using e-waste. After launching a crowdfunding campaign, and raising a total of over $4,000, the WoeLab team utilized e-waste components from computers, scanners, and other electronic devices to produce the W.Afate 3D printer. The printer was named after WoeLab member Kodjo Afate Gnikou, who also created a 3D printer made from e-waste back in 2013. 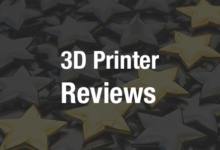 Thus far, the project has been displayed and awarded on a number of occasions, and is already being utilized by local firm Africa Tracing, which is 3D printing plastic casing for its vehicle GPS technology. More importantly, the WoeLab members are aiming to cultivate an educational platform revolving around their e-waste printer, and have launched an initiative to plant W.Afate 3D printers in schools throughout Lomé. In a country where about 60% of the inhabitants live in poverty, offering access to emerging and self-sustainable technologies is a viable way to improve their livelihood. WoeLab locally sources their e-waste from all across Togo’s capital, particularly from one of their partnering groups, the Action Sociale pour Le Developpement Integral (ASDI) recycling centre. The ASDI is heavily stocked with discarded electronic components, many of which are being utilized by 11 startups within the WoeLab. Aside from the miniature 3D printer project being that is being headed by Nadjagou, other community members and startups are working to build drones and jerry can computers out of e-waste materials as well. WoeLab members are also working on the Ifan project, which they describe as a “multifunctional agricultural robot” that is also produced from recycled electronic components. The Lomé-based maker space is currently searching for funding to help jumpstart their educational initiative, and will continue to offer workspace and hacking camps to local residents throughout the year. The WoeLab, like many active maker spaces in Africa, is centering a majority of their projects around e-waste, the ideal way to keep emerging technologies affordable, locally sourced, and in a state of constant development and improvement. Do you see technology like this taking off in other places? 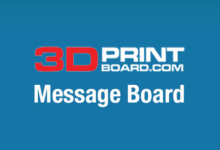 Discuss in the Waste 3D Printer forum over at 3DPB.com.